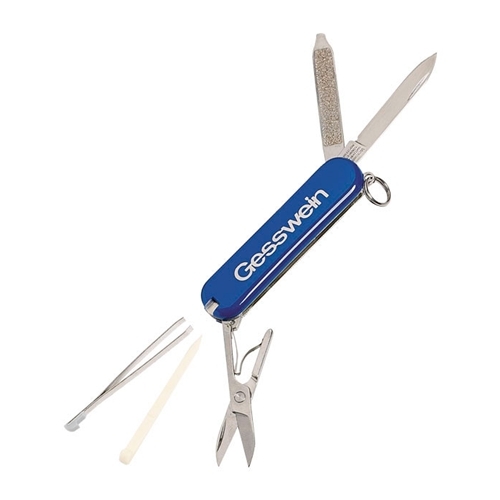 This world-famous knife has a cutting blade, scissors, file, tweezers, pick and key ring attachment. Stainless steel. Royal blue enamel with inlaid metal Gesswein logo.